What seemed to be an ordinary Wednesday night in Tempe quickly turned into an energetic night at The Marquee when Dreamers and The Head and the Heart took the stage. Upon entering the venue, the stage was cluttered with plants, lights and musical instruments creating an intriguing stage setup. First to the stage was American rock band Dreamers with its lively and colorful set. 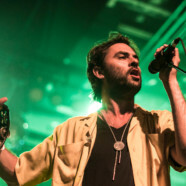 Although the band brought a different type of music to the stage and served as an interesting opener to American indie folk band The Head and the Heart, the band still upheld the responsibility of an opener: energizing the crowd before the main act. 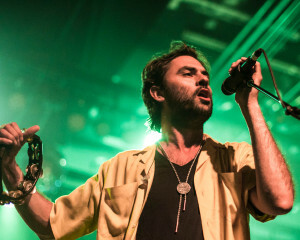 If it wasn’t the band’s multi-colored lights or amazing stage presence, fans could have been captivated by the band members’ energy during their hit songs like “Painkiller” and “Sweet Disaster.” After what was either considered a nice introduction to new music or an overwhelming clash of genres, the fans patiently waited for The Head and the Heart. The lights turned out and figures walked across the stage. Fans caught glimpses of guitar handles and a violin bow as the chords started resonate off the walls of the venue. The Head and the Heart opened its set with “All We Ever Knew” as if to set the bar for the rest of the night, only to keep raising it. 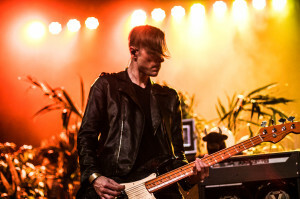 The band’s amazing energy and unique personality only drew fans closer and created a more intimate concert experience. Band members brought out percussion instruments and started jamming along with the crowd, taking small pauses between songs to have conversations with fans. Some fans may have noticed a disco ball hiding in the midst of the plants and lights on the stage, but not one would forget it as the lights started to reflect off the disco ball for a few songs, only adding an even better vibe to the band’s set. The Head and the Heart didn’t even have to encourage its fans to clap or to sing. They did so voluntarily and willingly. “Lost In My Mind” was unforgettable as the band made its exit for the night. Or so the crowd thought. The crowd reluctantly left the venue after the show, craving more indie folk music for their mind and soul. Tempe will just have to wait until The Head and the Heart returns.